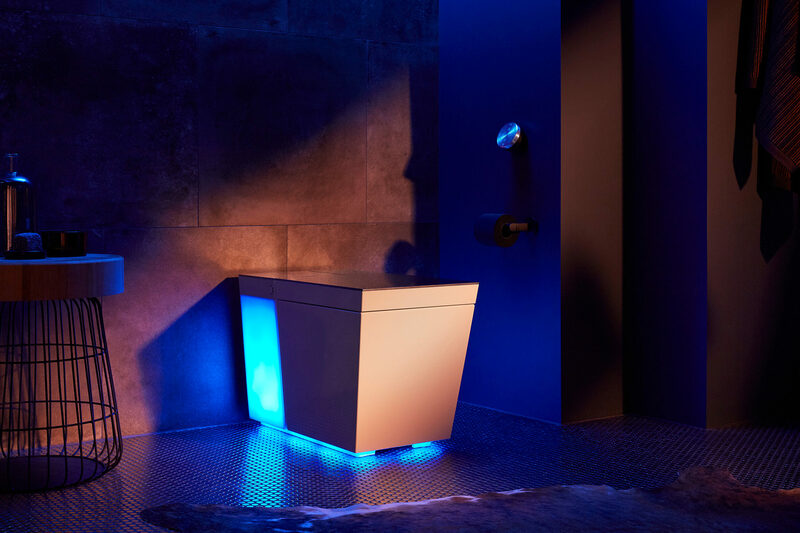 At Milan Design Week, Kohler reveals a new paradigm of powder room trends that are anything but clinical. Everyone should be able to use the bathroom which suits them best. That, without question, applies to one’s gender identity. 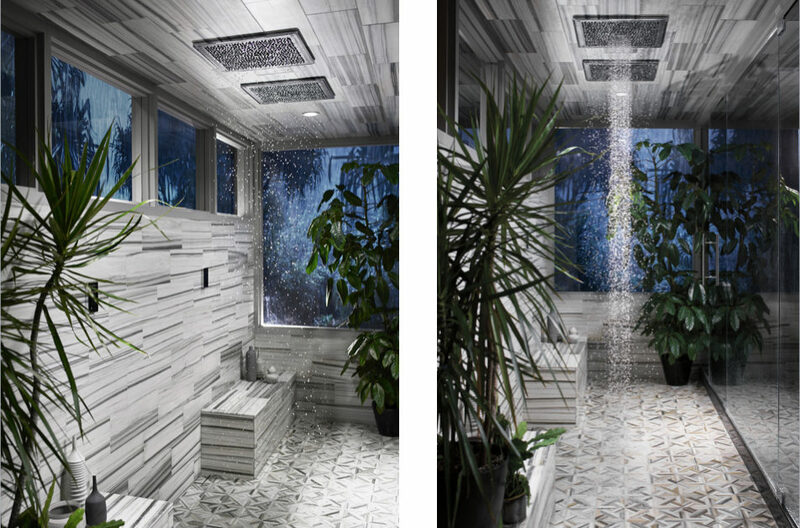 But it increasingly goes for self-expression of all kinds, as bathrooms and the devices within them are exploring the reaches of the aesthetic spectrum. Or, perhaps, the more adventurous materials and finishes on offer for sinks. “Tech is a layer of experience,” he says, but just one of many. 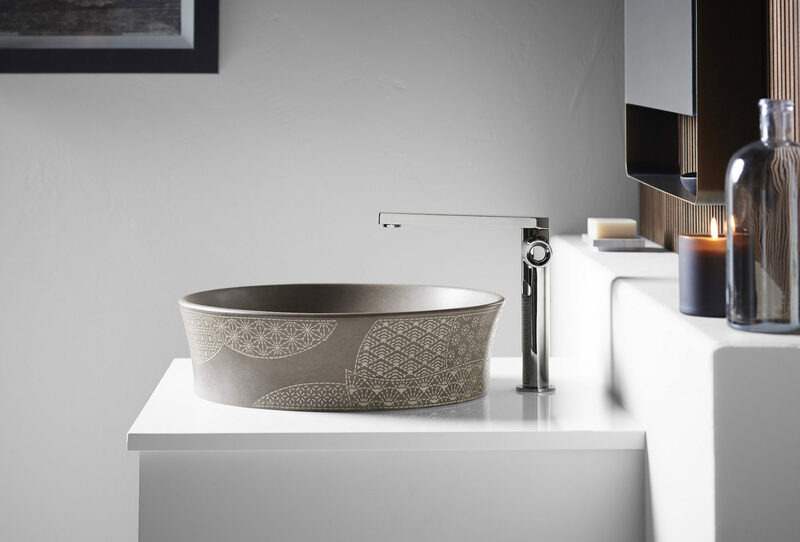 “We’re seeing interiors fascinated with layers of details where materials are used together, with intersections of two or more.” This modern mix is reflected in the Kensho sink, which combines Japanese sashiko stitching with 15th Century Italian acqueforti etching for a patchwork effect. 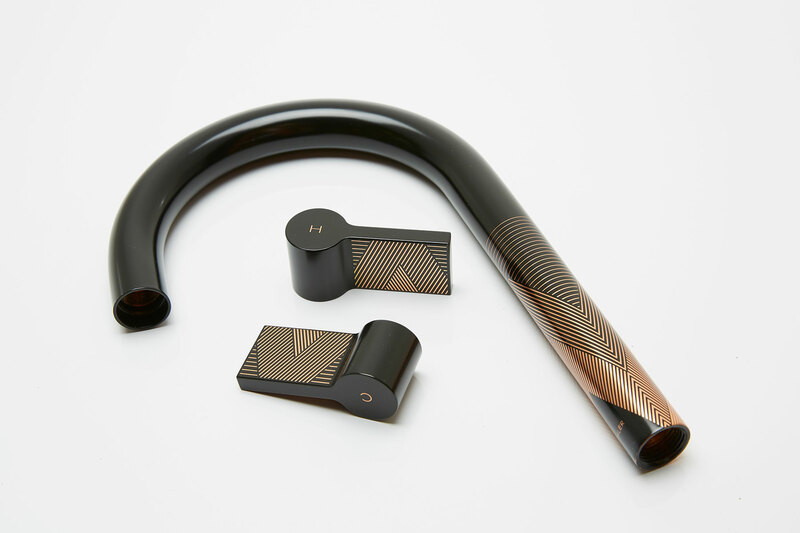 A more modern form of engraving can be found in the Etch faucet, for which Kohler invented a process to inscribe geometric patterns via lasers. “It’s not about gadget-laden environments,” Bickerstaffe concludes. “We’re really about pursuing consumer delight.” And what more luxurious experience is there than delight?